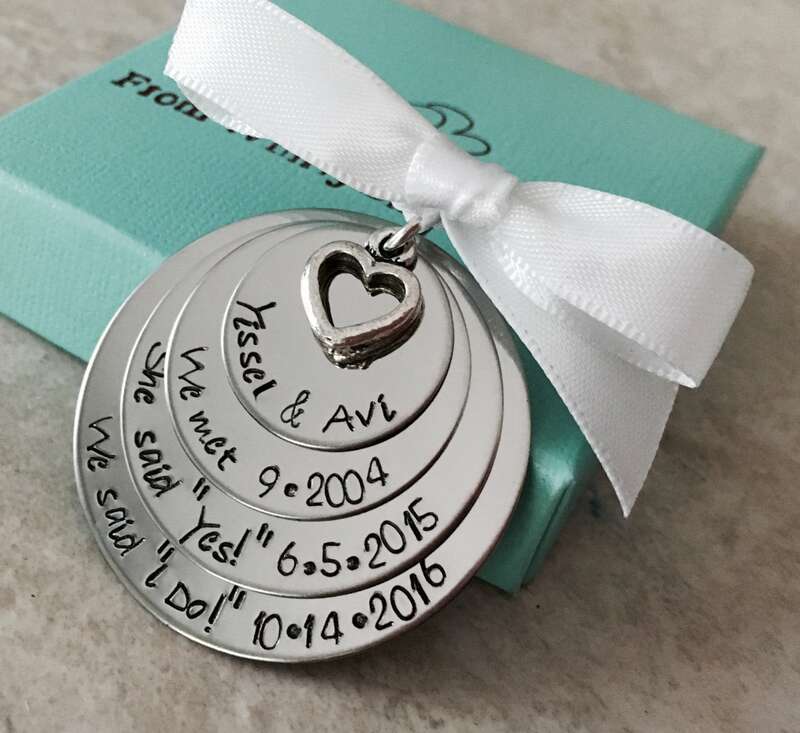 This sweet ornament is a great way to showcase the special dates in your life! You are welcome to change the wording to your liking, but please keep in mind the space I have to work with. Bottom disc is 1 1/2", then as follows: 1 1/4", 1", 3/4" (For reference, the top tier is the size of a penny, second tier is the size of a quarter, and so on). 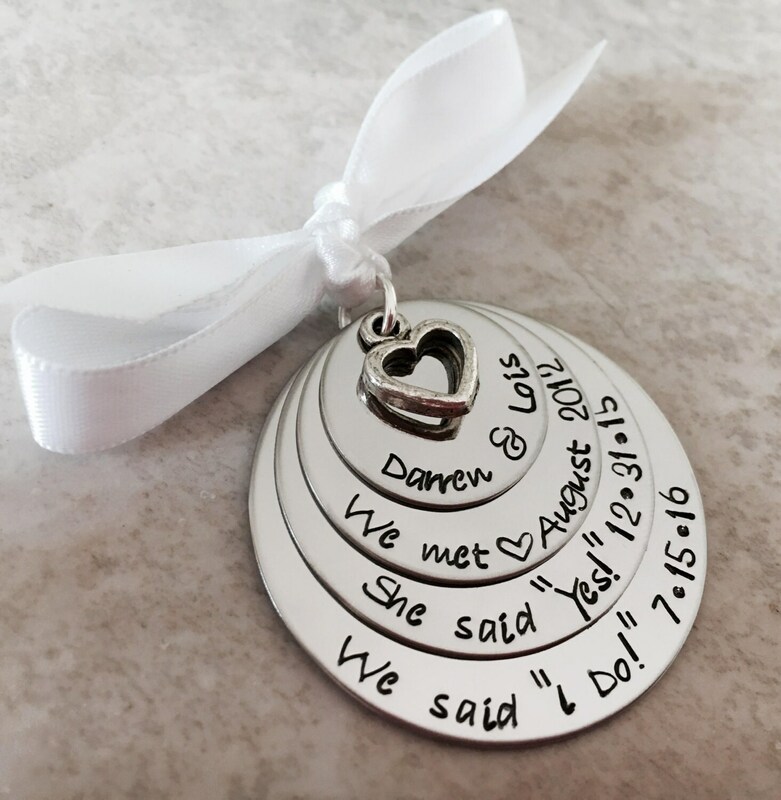 Includes heart charm as shown.